Can Hillary Win Even With An Indictment? First, while there is a consensus that there are sufficient grounds for the FBI to recommend indictment, the chances of the Lynch-Obama duumvirate permitting indictment is, at best and for purely political reasons, slim. Second, if the charges are sufficiently egregious (multiple felonies), and if the Justice Department does not refer the matter to a grand jury for review and possible prosecution, it is generally believed that there will be electrifying high-profile resignations from and sensitive leaks by the FBI, the intelligence community and the Justice Department which, presumably, would adversely affect Hillary’s ability to win at the convention or in a general election. 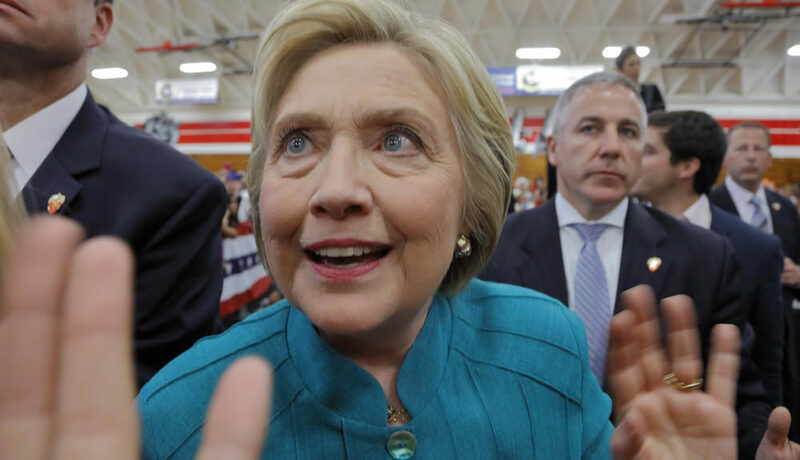 Fourth, since it’s a near certainty that Hillary will not withdraw even if indicted before the convention, a “brokered convention” might well ensue which could force her out. Though her delegates are committed to supporting her on the first round of balloting, the 712 super delegates could easily bolt and rally around another candidate if they felt the chances of her election had been seriously jeopardized. Party loyalty could well trump loyalty to Hillary. Fifth, if Hillary is indicted, there is no constitutional requirement for her to withdraw. Period. Seventh, a sitting president can order the AG to drop all charges, or to not either pursue prosecution or to enforce any sentence imposed. Such an action would surely place into question her constitutional responsibility to “faithfully execute the laws” of the United States and would be, therefore, an impeachable offense. Eighth, since there is no limit on a president’s pardoning authority, but as no president or governor has ever attempted to pardon himself/herself in the past, Hillary’s pardoning herself would be unprecedented and could easily be construed by the public and Congress as morally—not legally—reprehensible. The repugnancy of a self-pardon might well be sufficient for an otherwise reluctant Congress to impeach, try and remove her from office. Conclusions: my guess is that a narcissistic Hillary Clinton would be more than willing to put the country through the wringer to achieve political power–public interest, traditional standards of rectitude and moral conduct be damned. If nothing else, these unseemly developments should spark renewed interest in an Art V Convention of States to tighten up qualifications for presidential candidates, to say nothing of limiting the constitutional authority of an increasingly imperial Executive Branch. These acrid developments should also both incur the moral outrage of the People and encourage individual States to review their election standards as well. If the charges are as substantive, well-founded and egregious as many on both the left and right agree they are, and if 1) Hillary wins the general election and, 2) Congress abdicates is constitutional responsibility to impeach and remove her from office, then all bets are off as to the viability of this once venerable constitutional republic. If massive marches on the White House to force her resignation are not attempted or don’t succeed, then secession or rebellion can be Americans’ only salvation.